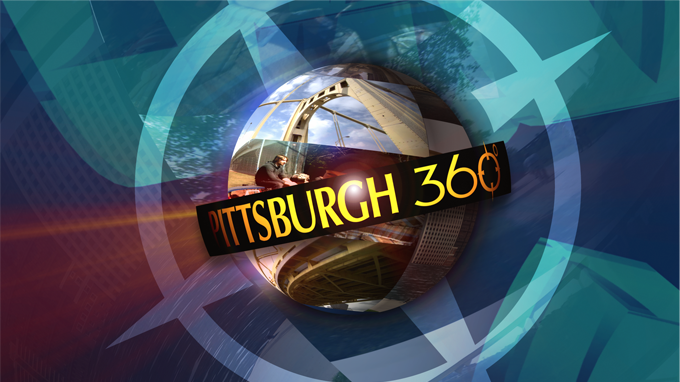 In this episode of Pittsburgh 360, we uncover some abandoned wells, get high-tech in the classroom, and find out how some witty artists have given new life to old material. In this very festive episode of Pittsburgh 360, we'll reminisce at the Tic Toc Restaurant with Michael, discover the return of the American toy, and Tonia Caruso will show us what one local artist has carved up for the holiday! In this episode of Pittsburgh 360, contributor Michelle Wright takes a look at how mental illness effects those living below the poverty line, Tonia Caruso rocks with Out of the Units, and we take you behind all the glitz and glamour at the Pittsburgh Ballet Theater. In this episode of Pittsburgh 360, we'll go inside a foundation that is giving hope to the sick, learn about one center with a vision to green up Larimer, and find out how to work happy from author Jill Geisler. In this episode of Pittsburgh 360, Michael Bartley takes us on a ride in a food truck, we take a bite out of some good pasta that's also good for you, and we'll race to the end of the show with Dave Palone.